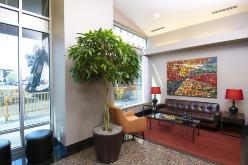 The Metro Apartments is located on the upper floors of The Metro Building which is a mixed-use building conveniently located in downtown Minneapolis. The building is connected to the skyway system making a comfortable walk to work or events regardless of weather conditions. Visit www.themetroapartments.com for more information.